January of 2019 felt like time was slowly passing. Was it the New Year's resolutions? The crowded gyms? Bombardment of IG influencers mentioning their new diets? Maybe none of those but also, maybe all of those! The article I wrote in January, see here, was all about sustainable goals in 2019. As a kid, my parents were very helpful in making sure my sister and I had a variety of foods in our diets that stemmed from local organic vegetables to healthy proteins and low processed gluten-free grains. I didn’t dive into the land of superfoods until the kale craze when I was in college. Nutrition is something that fuels your body, your mind and your hormones which inevitably fuel your mood! I started adding in superfoods to my diet and felt like a new person! Over the past few years, I have been sticking to a routine that stems from my healthy and mindful goals, a big part of these goals are fueling my body with superfoods that keep my tummy full, my mind stimulated and taste buds on a journey! If you are like me, and work on many projects at once, I tend to get a mid morning slump around 10am and a mid afternoon slump around 3pm. I have two go to mid-morning snacks to hold me over until lunch time. Those are either; a handful of roasted almonds, fresh organic blueberries and some cold lemon water. Or, I grab half of a Maca-Berry Kombucha, some frozen blueberries, spinach and blend them into a delicious smoothie! These two superfood packed snacks fuel my brain, my mood and stay true to a diet that makes me happy! My go to superfood smoothie recipe! When that afternoon slump comes along, I grab the second half of my Health-Ade, a fresh avocado and a few sweet potato seed crackers (any high fiber cracker is great here! 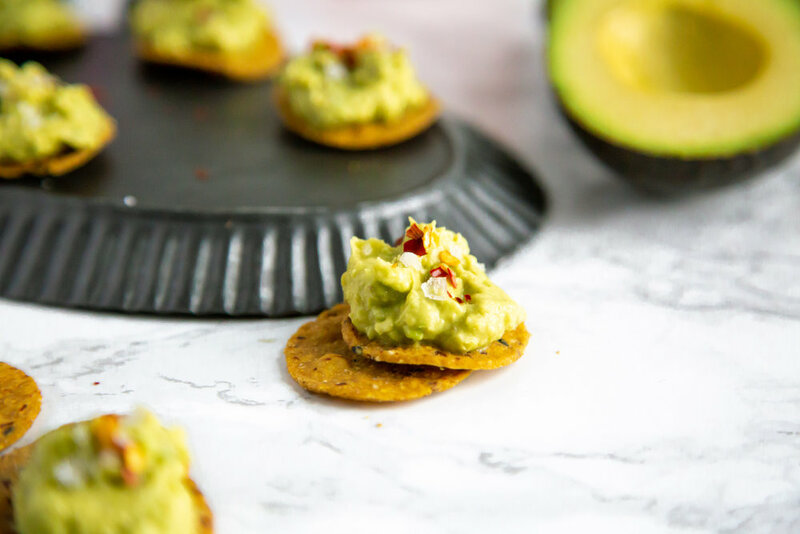 ), add a few slices of avo to the crackers, top with some flakey sea salt and enjoy my healthy snack with a refreshing kombucha! 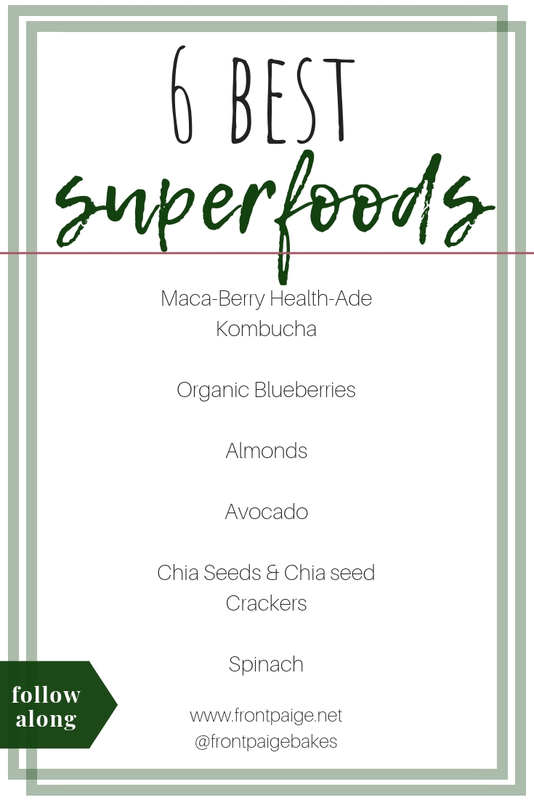 Here are a list of my favorite superfoods to buy next time you are at the store! Next time you’re shopping at your grocery store, pick up a couple superfoods, give them a try and tag me in your posts! I’d love to see how you are keeping up with your 2019 sustainable, healthy and mindful goals!